The future of the relationship between Israel and America is deeply uncertain: the current political leadership of both countries is hostile to the other, there is no longer a sense of shared strategic focus, and demographic changes are forcing the countries further apart with every passing year. Undermining the relationship between Israel and the U.S. is the fact that it was never clearly defined. The ambiguity has been politically helpful, but now threatens the future: there is no treaty, no agreed set of obligations, no mutual dependence. So when things get sour, there is nothing to fall back upon except historical memory. 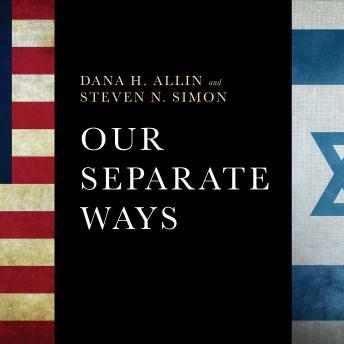 Dana Allin and Steven Simon are among the shrewdest analysts of and practitioners inside the world of U.S.-Israeli diplomacy. They have written an urgent, revelatory book showing the emerging fault lines between two previously staunch allies and the tremendous perils of a schism. And, they offer ways in which even at this late, disgruntled, embittered stage, the two sides might yet find a way toward a common future.